Despite a free upgrade offer that lasted for one year, many users running Windows 7 skipped the Windows 10 offer. That said, computers still running the much older version of Windows can still upgrade to Windows 10. I decided to create a tutorial using Windows 7. 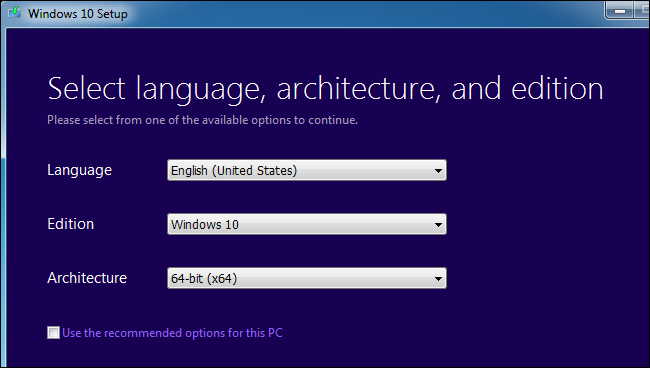 Even after several major revisions, users running even the Windows 7 RTM release can perform an in place upgrade to the latest version of Windows 10. The process no different from the initial release, but if you are curious to know what its like and what you can do to get that PC on the latest version of Windows, here is how you do it. How to create a bootable copy of the Windows 10 Creators Update ISO. Boot to the Windows 7 desktop. If you are installing from a DVD or USB thumb drive, insert or connect it, then click Run setup.exe. If setup does not start automatically, click Start > Computer > open the drive containing the Windows 10 setup files, then double click Setup.exe. Click Yes if prompted by the User Account Control dialog. If your Windows 7 installation is not activated, you will need to enter a valid Windows 10 key; a Windows 7 key will not work. If you don't have a valid Windows 10 key, then you will have to boot from the Windows 10 install media (DVD or USB), then perform a clean install, skip when prompted to enter a product key, then activate using your Windows 7 product key after reaching the desktop. If you have your Windows 7 product key, try activating your installation first, then restart setup. It's April 5 as of now, is the Media Creation tool already updated on providing Creators Update instead of Anniversary Update rn? We had an elderly customer who missed the free Windows 10 upgrade offer because they ended up in hospital with a heart attack. We had originally booked to do the upgrade for them but due to the above health issue we could not. I contacted the Microsoft Partner contact and explained the situation and asked if Microsoft would make an exemption for this customer, they refused to help. As far as I'm aware you can still upgrade from Windows 7, 8 or 8.1 to Windows 10 for free as long as your Win 7, 8 or 8.1 product key is good. Just run the media creation toolkit and enter the product key when prompted and you should be good to go. hello there at yet l did not get upgrading update from window 1703 to 1709 why ? Same here, received since June many Quality and Feature updates for 1709 that all failed because I was not offered to upgrade from 1703 to 1709. I now hide the 1709 updates as I wasted my time trying to install 1709 updates. I am using a HP Mini with an Atom chip and that is the Clover Trail processor incompatible with versions 1703 and 1709. I now have to roll back to version1607 with an Windows 10 ISO file in order to receive (and install) updates till 2023. I have some questions about the W10 ISO file that I am trying to download with MCT version 10.0.16299.15 but it won't start downloading (0% progress after 12 hours). I selected "Create installation media......." as I don't have an 8 GB USB stick and no dual layered DVD disk so I want to install from the ISO file saved on my HDD directly. The reason I want to reinstall W10 Home 1607 32-bit is my processor is a Clover Trail (Intel Atom) and I was running it OK with 1703 till last month but now no more updates will install and upgrades to 1709 of course also don't install. How big is this ISO file? Why cannot I select the version (1607) in MCT as I am afraid it will try to download 1709 as I already have 1703 installed? My link is very slow (2G) but I have been downloading updates successfully before (12 hours sometimes).